Today’s Guest: Zev Chafets, author, Rush Limbaugh: Army of One. 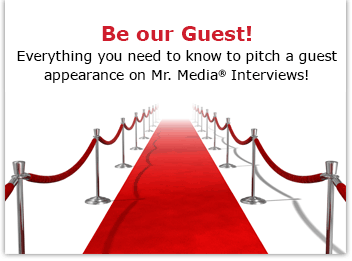 Mr. Media is recorded live in the hometown of U.S. Senate candidate and Republican pariah Gov. Charlie Crist… in the NEW new media capitol of the world… St. Petersburg, Florida! Like you, I have my own personal political beliefs. Mine are fairly middle of the road, not hard left, not hard right. I believe in what I believe and make decisions on issues and candidates one at a time, not based solely on political affiliation. And while there are a lot of politicians and commentators with whom I agree or don’t agree, I always respect men and women on either side of an issue when they impress upon me that they are educated and believe in what they say. You can LISTEN to this interview with ZEV CHAFETS, author of RUSH LIMBAUGH: AN ARMY OF ONE, by clicking the audio player above! I’ll give you a few examples. George W. Bush never impressed me as either particularly bright or as believing in anything that came out of his mouth. Mostly, he seemed an amiable fellow with whom people enjoyed spending time, but lacked a strong work ethic or knack for details. Roger Ailes: Off Camera by Zev Chafets. Order your copy now by clicking on the book cover above! Fox News Channel talking head Glenn Beck, who got his career off to a big start right here in the Tampa Bay area at WFLA 970 AM many years ago, was often thought provoking and entertaining. But just when you started buy into the logic of his line of thought, he’d jump off the cliff and try to take you with him. I didn’t respect his thought process, conclusions and ultimately wasn’t convinced that he believed half of what he had to say. He thrived on attention and was willing to say or do whatever was required to keep all ears glued to him. Rush Limbaugh is a different story. I always found him to be intelligent, thoughtful and, most important to me, I respected his beliefs because he held them so strongly. All this and yet I rarely agree with him about anything. He accomplished a great deal with humor, making me laugh even when it hurt. He takes pleasure in often being cruel, which I don’t respect, but Limbaugh is not always the picture that his political opponents paint. 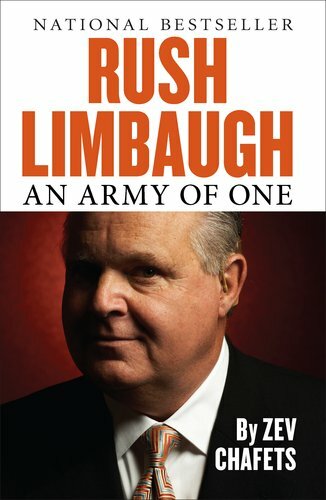 So I was intrigued to read Zev Chafets’ new quasi-biography, Rush Limbaugh: An Army of One. It’s an unusual approach, a sometimes first-person account in which the author takes us along on his own journey of discovery. And it’s unique because of the direct access Limbaugh gave Chafets via face-to-face interviews, show transcriptions and email. Love Limbaugh or hate him, there’s a lot of valuable insight in this book. I read it just after Jonathan Alter’s new history, The Promise: Barack Obama, Year One, and a middle of the roader like me couldn’t ask for a better balance. Remembering Who We Are: A Treasury of Conservative Commencement Addresses by Zev Chafets. Order your copy now by clicking on the book cover above! Ya know, when you are so middle of the road, you end up being nothing. No one wins awards for being in the middle.